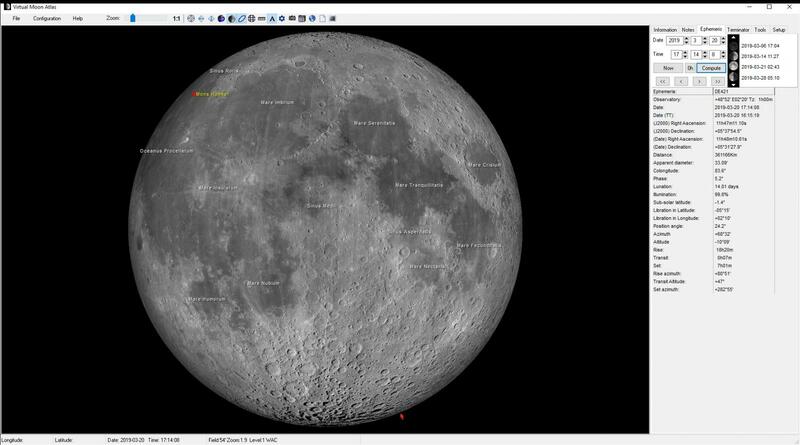 Virtual Moon Atlas http://ap-i.net/avl/en/start shows librations. Edited by beggarly, 18 March 2019 - 11:36 AM. Limb/Libration-related features related LPOD's, arranged in a "clockwise" fashion.